The SNP-6200H is a PTZ dome camera which provides 20x images in Full HD resolution. This ONVIF compliant PTZ dome camera features multiple displaying resolution from CIF (320 x 240) through to 16:9 format 1080p Full High Definition and provide the ability to be transmitted simultaneously, allowing the most relevant stream to be transmitted to your viewing or recording device simultaneous transmitting for your viewing or recording. Now users can monitor a scene far away from the camera in more detail, at higher quality of image. Its intelligent video analytics functions includes Tampering, Virtual Line, Enter/Exit, Appear/Disappear to help efficient monitoring. 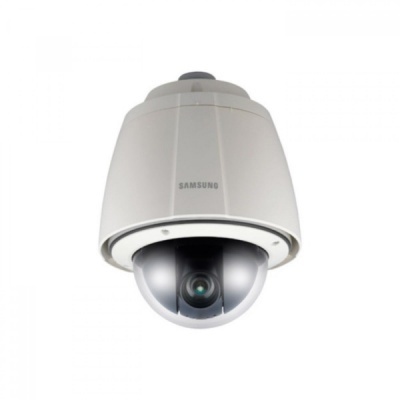 Especially, the SNP-6200H is incorporating housing PTZ dome camera and can to withstand extreme environment which -50 ˚C ~ +55 ˚C circumstance with Fan/Heater.